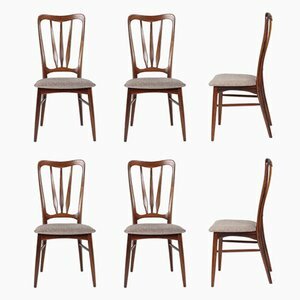 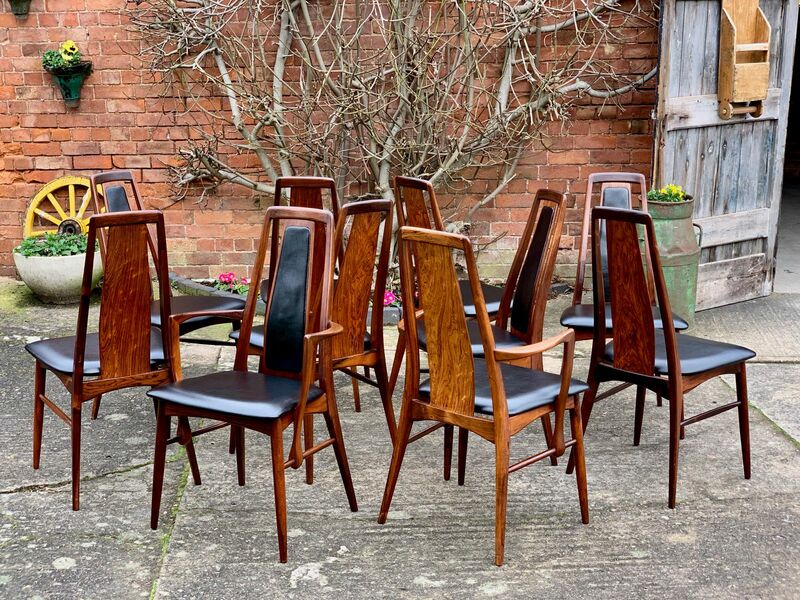 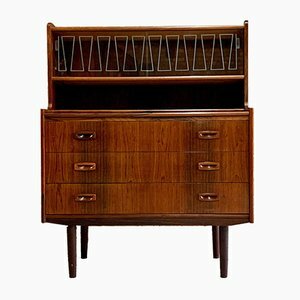 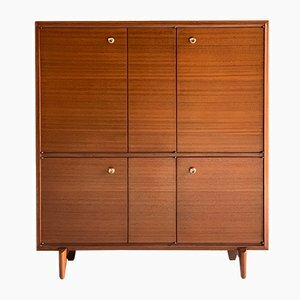 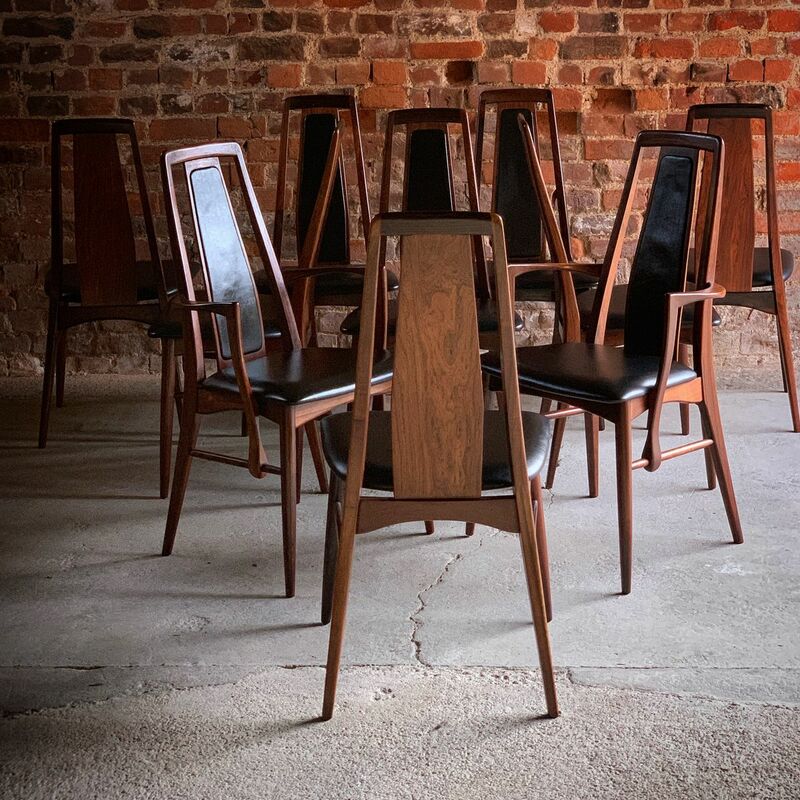 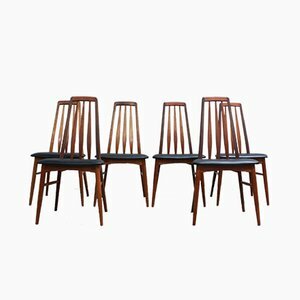 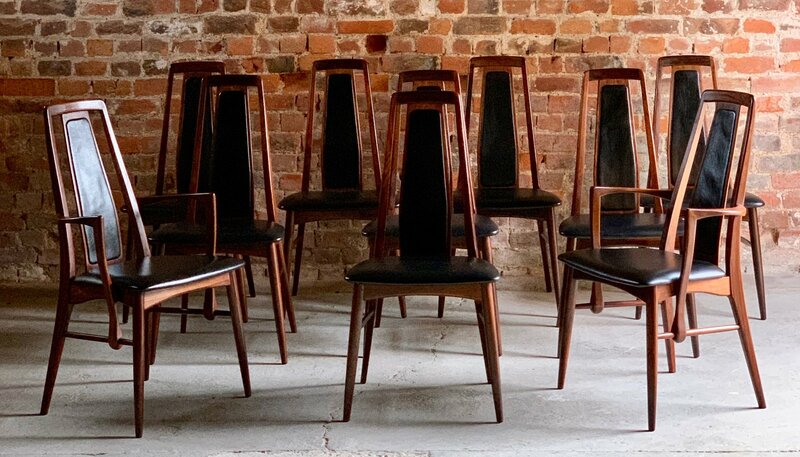 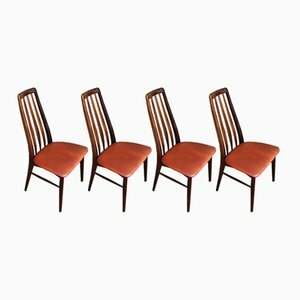 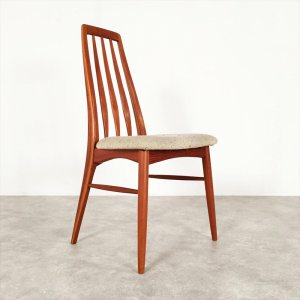 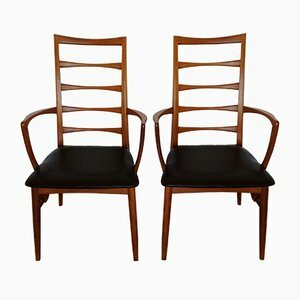 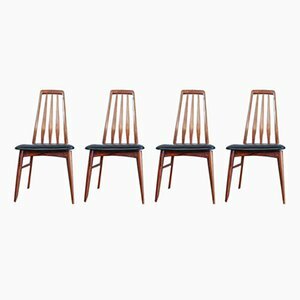 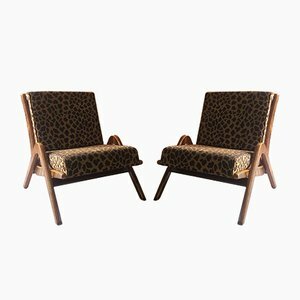 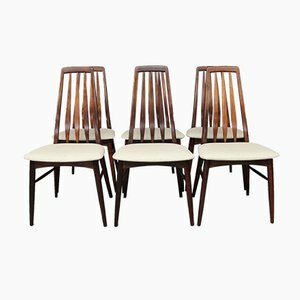 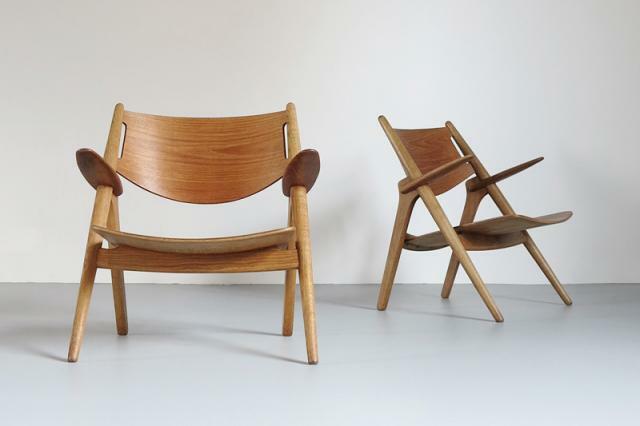 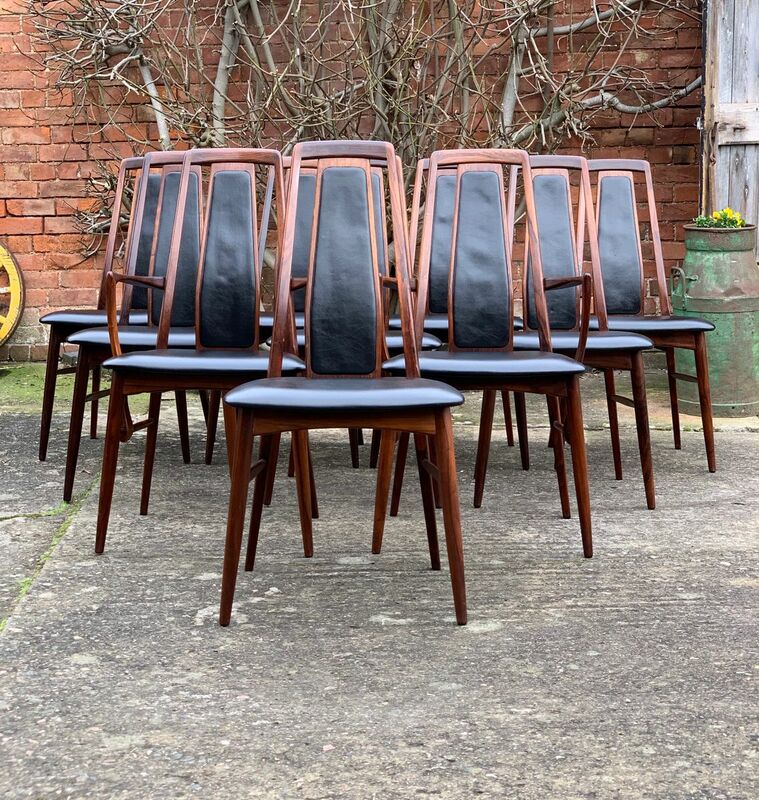 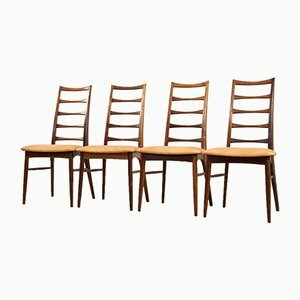 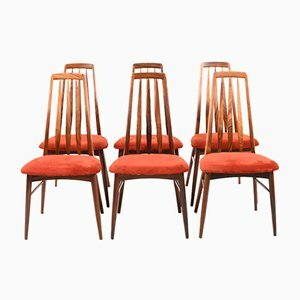 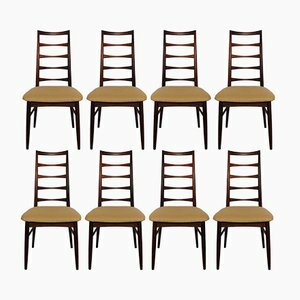 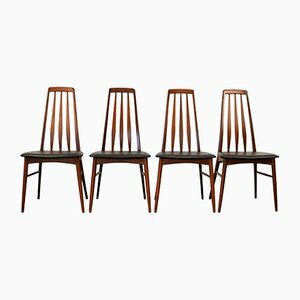 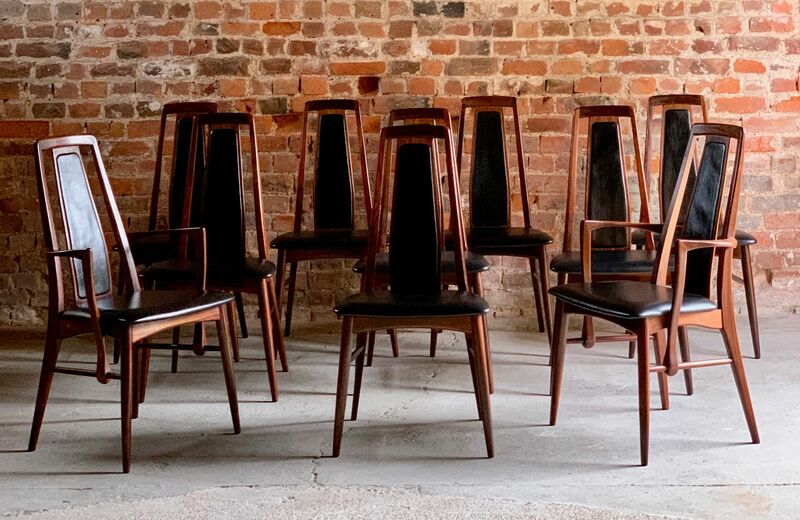 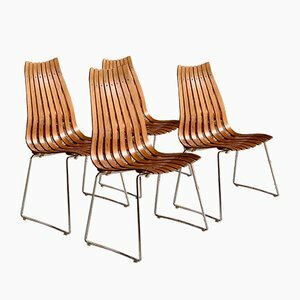 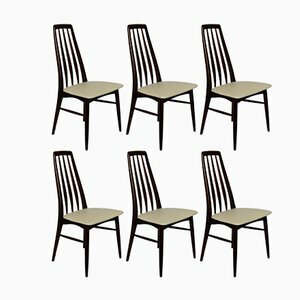 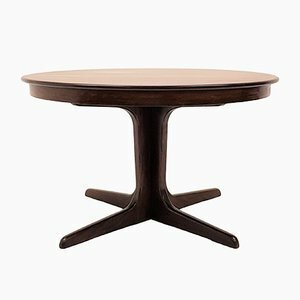 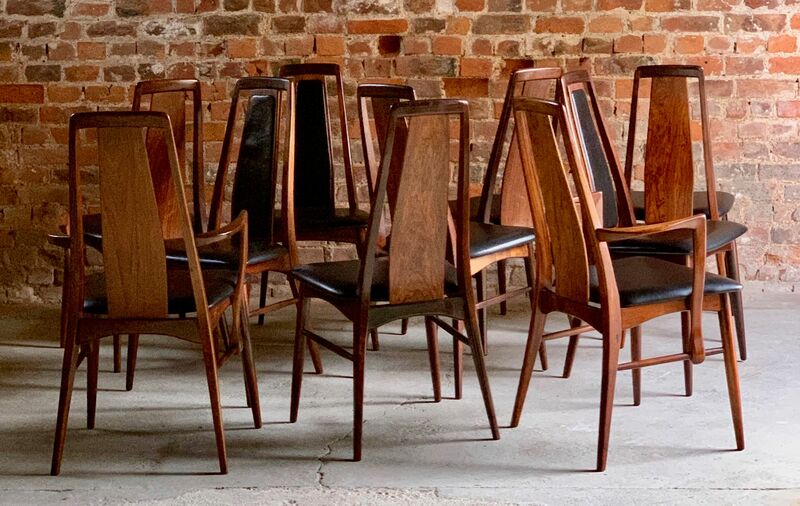 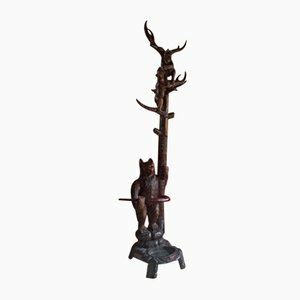 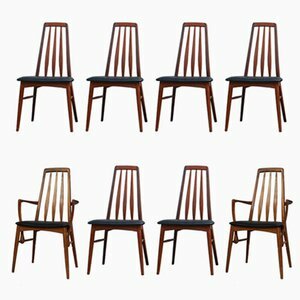 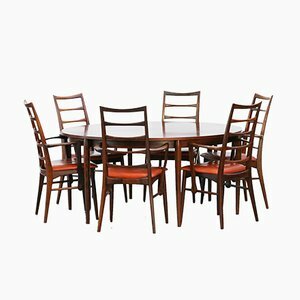 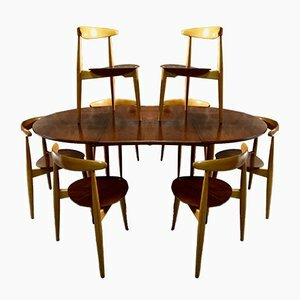 This is a magnificent set of 10 mid-century Danish ‘Eva’ rosewood dining chairs designed by Niels Koefoed and manufactured by Koefoeds Mobelfabrik in Hornslet, Denmark, circa 1965. 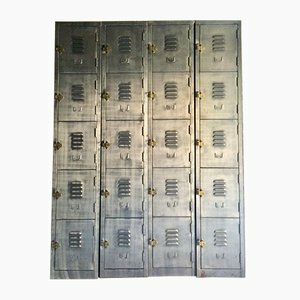 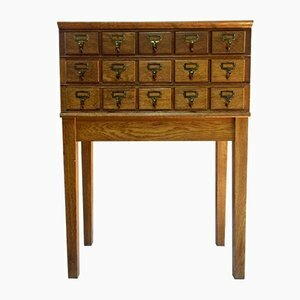 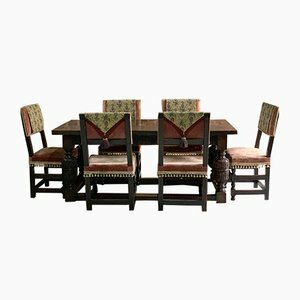 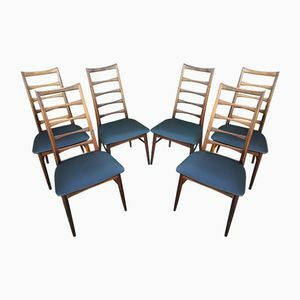 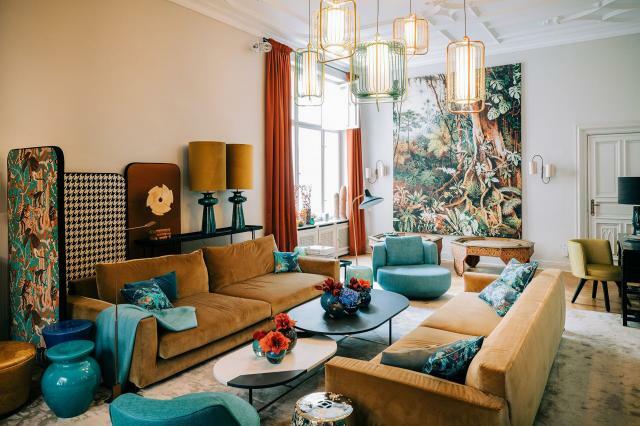 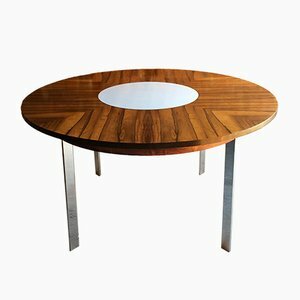 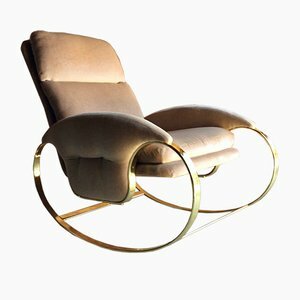 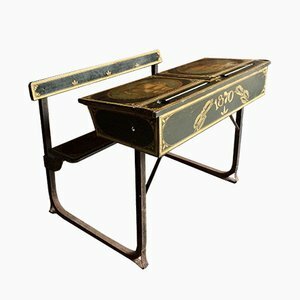 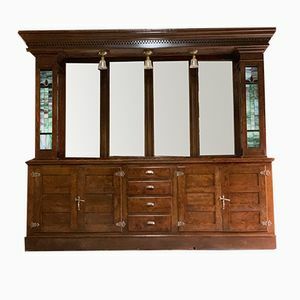 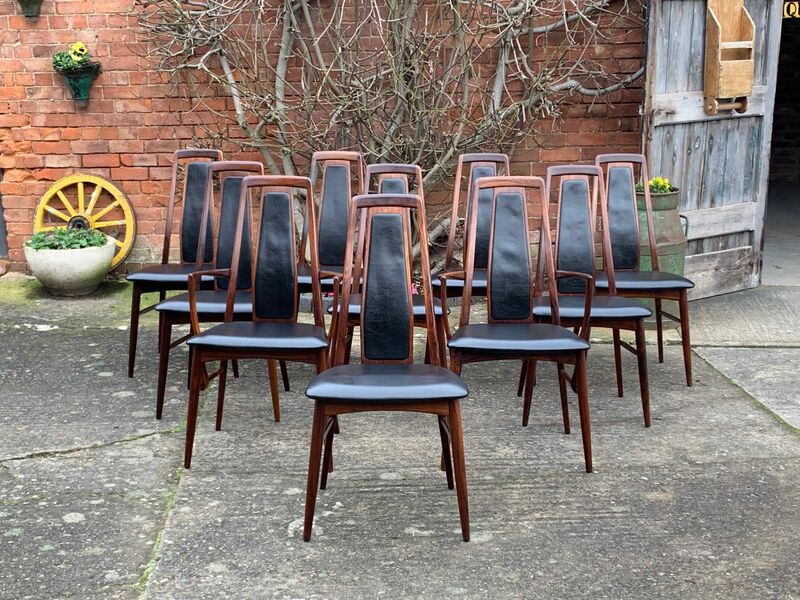 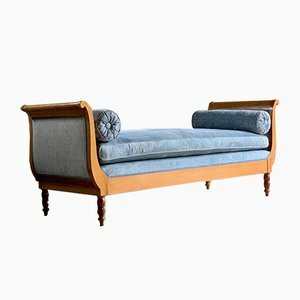 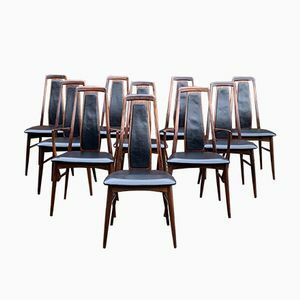 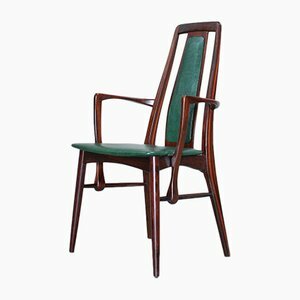 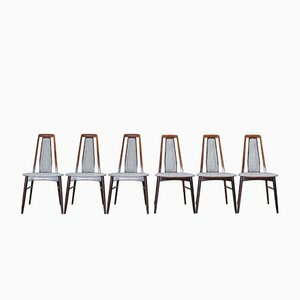 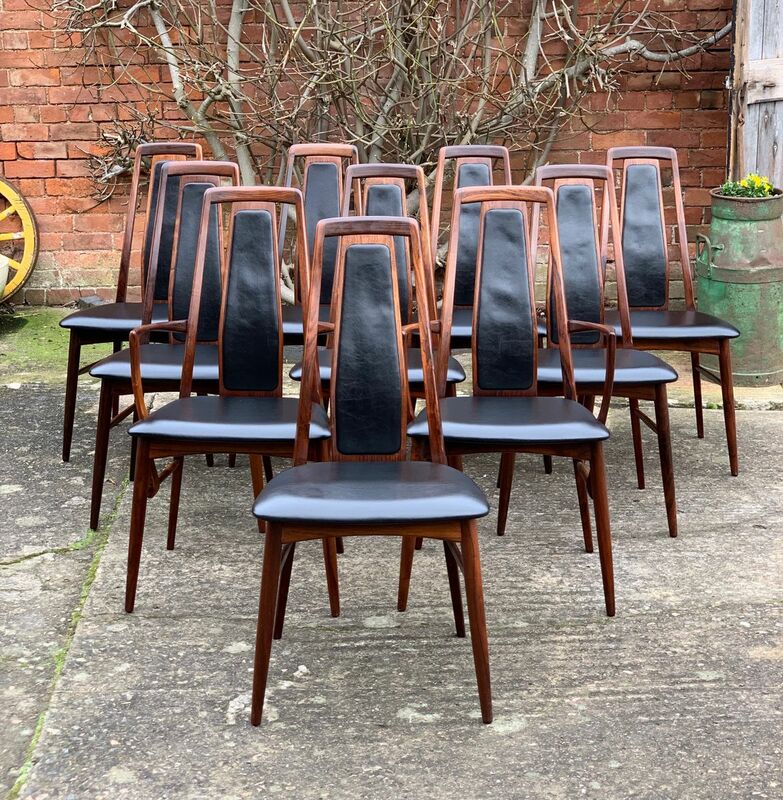 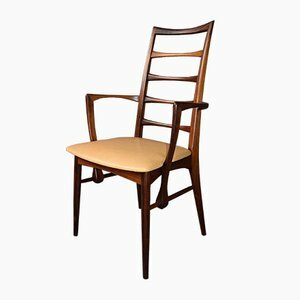 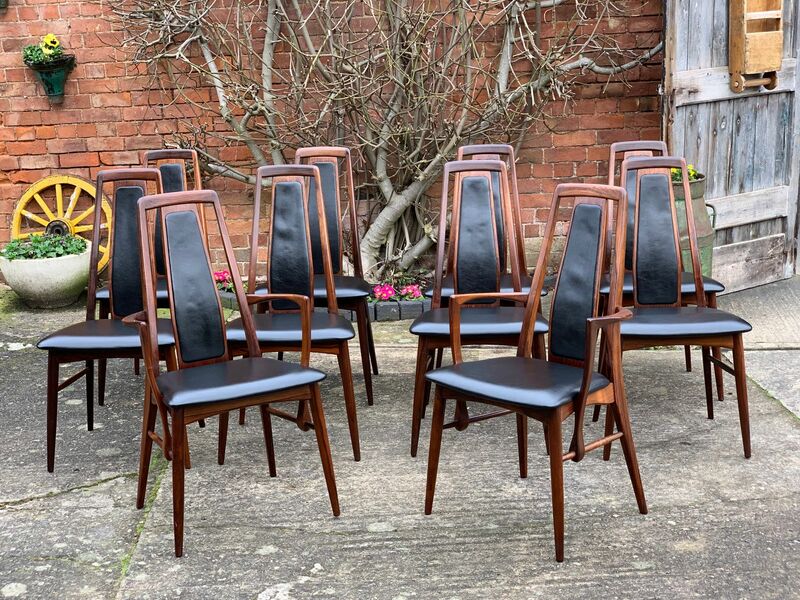 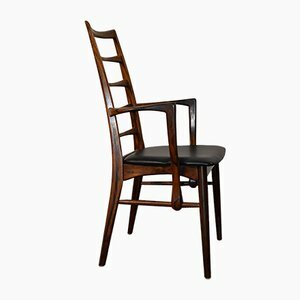 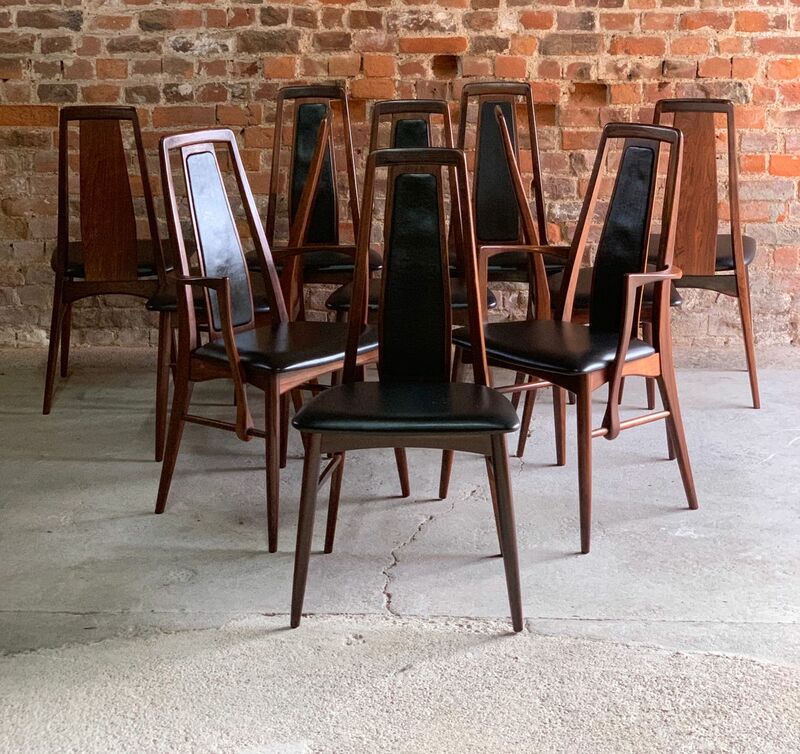 The beautiful solid Brazilian Rosewood frames are in original condition with a wonderful patina and the seats and backs are upholstered in original black PVC. 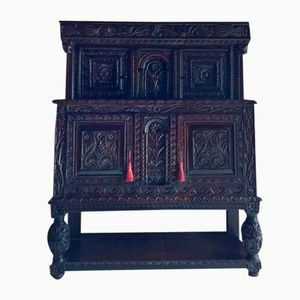 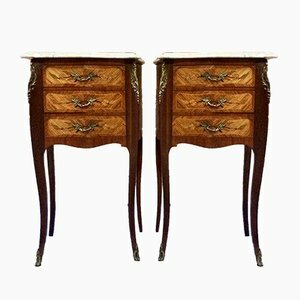 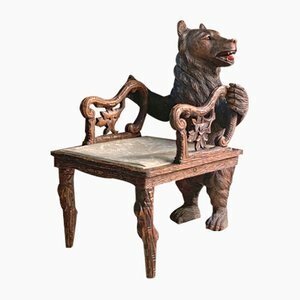 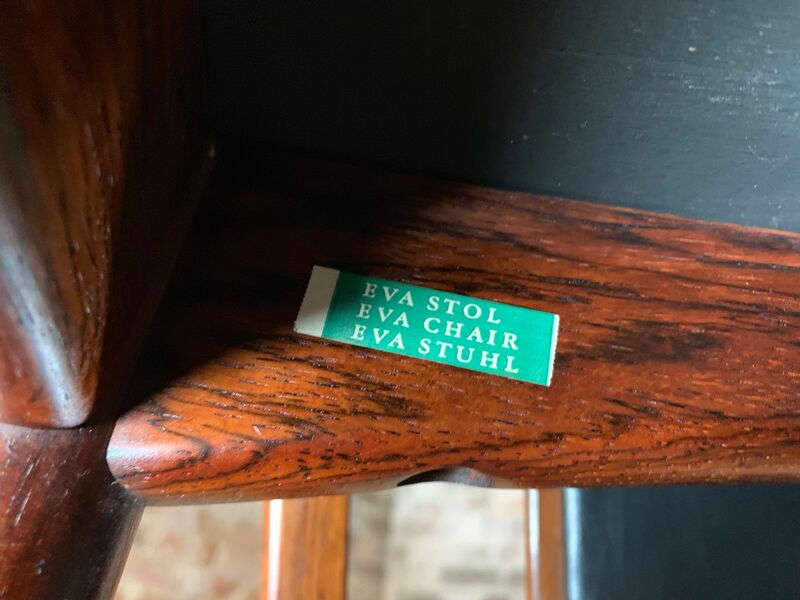 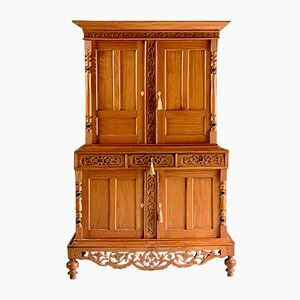 There are two carvers and eight chairs, all stamped with makers mark to the underside.